Over the years, GE and Siemens have continued to refine their user interfaces and software platforms. The end result of this evolution is that a large percentage of technologists are familiar with the way both systems function. The familiarity and comfort of using a GE or Siemens MRI make transitioning to the Espree or 450W virtually seamless. Why is install base important? Resources, software revisions, and pricing are all impacted enormously by the size of a model's install base. Furthermore, the larger the install base, the more frequent it is that equipment finds its way into the pre-owned market. When this happens, it’s necessary for the price of new systems to decrease to stay competitive with pre-owned and refurbished options. The 450W and Espree install base is such that pre-owned systems are often available, depressing prices for new systems (even the Siemens Aera) and beginning trends toward more affordable levels. The effects of a large install base trickle into service as well. 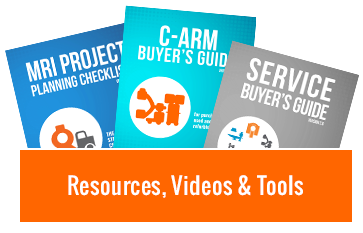 The quantity of a model in the field impacts service availability and parts accessibility. Both the Espree and 450W have, by far, the most robust service networks and parts inventories in the 70cm MRI class. The Espree is a member of Siemens' Total Imaging Matrix (TIM) and Syngo applications suite families. These features provide dynamic benefits to patient comfort, facility throughput, and image quality. Outstanding features of the GE 450W are its Acoustic Reduction Technology (ART) and 50cm of usable FOV. ART makes scans quieter to reduce patient anxiety. The wide FOV accommodates larger patients while high-fidelity gradients provide quality imaging in challenging applications. 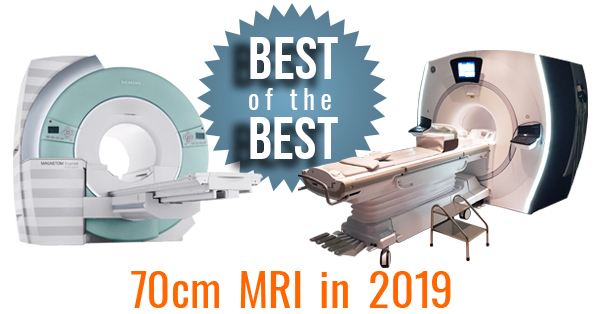 A hearty congratulations to Siemens and GE for splitting the 2019 award for “Best in MRI Class: 70cm Bore.” These models have impacted patients around the world, enabling treatment and healing through access and precision. Well done! We at Block Imaging are proud to provide this equipment and would love to hear from you if an Espree or GE 450W sounds like the solution you're looking for.